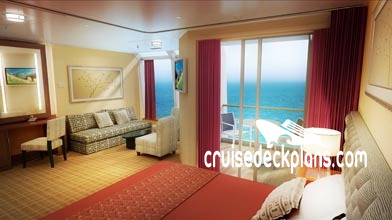 Amenities also include white tablecloth in-suite dining, priority reservations for the ship\'s specialty restaurants, spa and entertainment venues, Distinctive key card, butler available to unpack luggage, bottled water, full in-suite breakfast menu, breakfast and lunch at specialty restaurant, fresh flower arrangement, and plush slippers and towels. 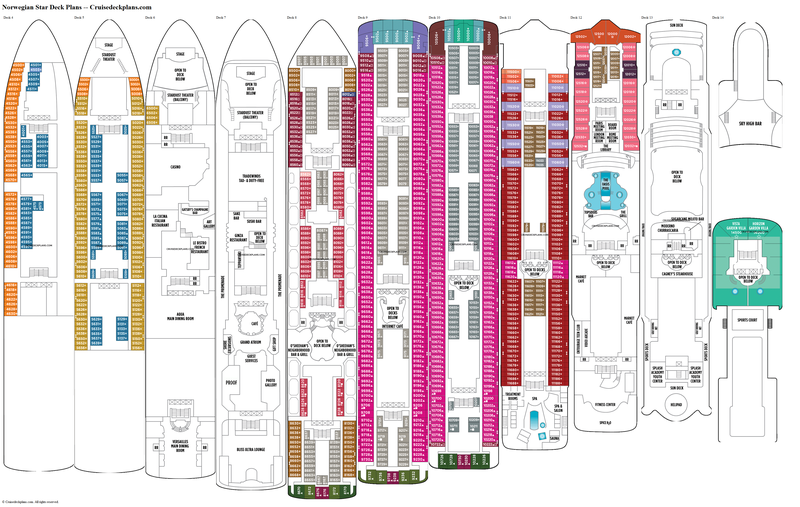 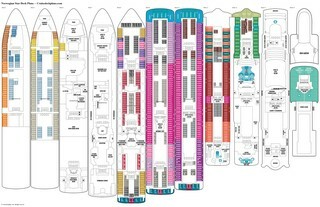 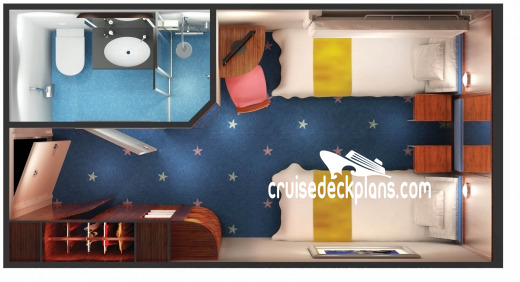 Cabin 12502 and 12002 are 667 square feet (no balcony) and cabin 12500 and 12000 are 732 square feet (no balcony). 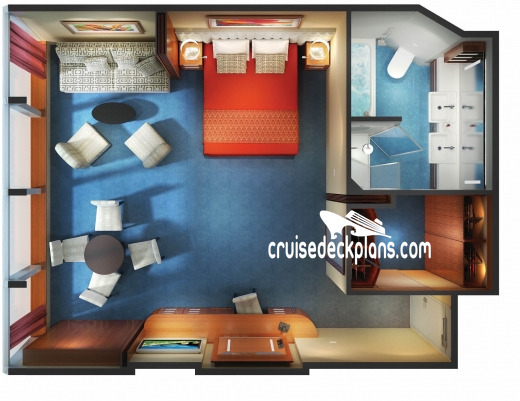 Cabin size ranges from 571 to 750 square feet plus 150 square foot balcony. 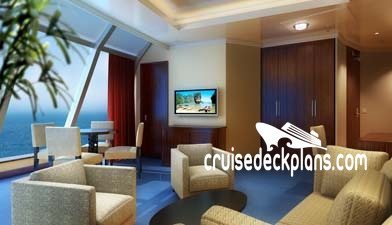 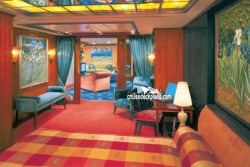 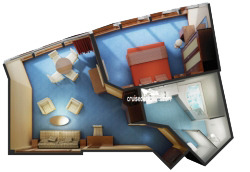 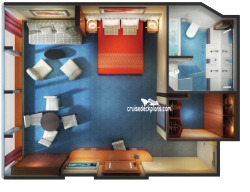 Each suite can be interconnected to a studio suite and balcony cabin.Amenities also include white tablecloth in-suite dining, priority reservations for the ship\'s specialty restaurants, spa and entertainment venues, Distinctive key card, butler available to unpack luggage, bottled water, full in-suite breakfast menu, breakfast and lunch at specialty restaurant, fresh flower arrangement, and plush slippers and towels. 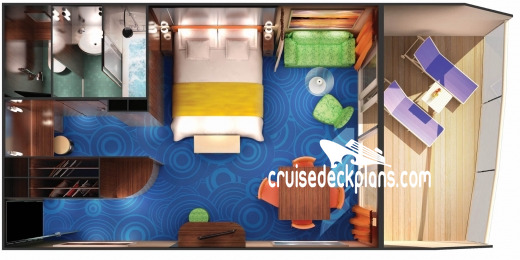 Cabin size ranges for category SE from 300 to 360 square feet plus 134 to 254 square foot balcony. 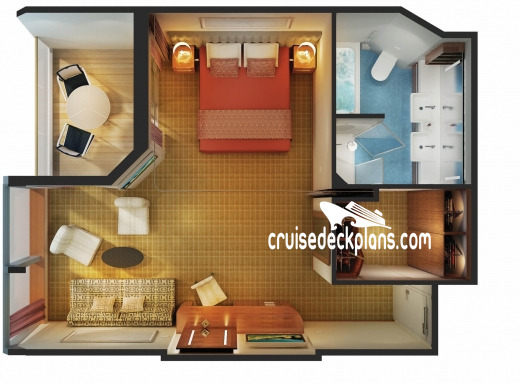 Category SF cabin size is 290 square feet plus 64 to 106 square foot balcony. 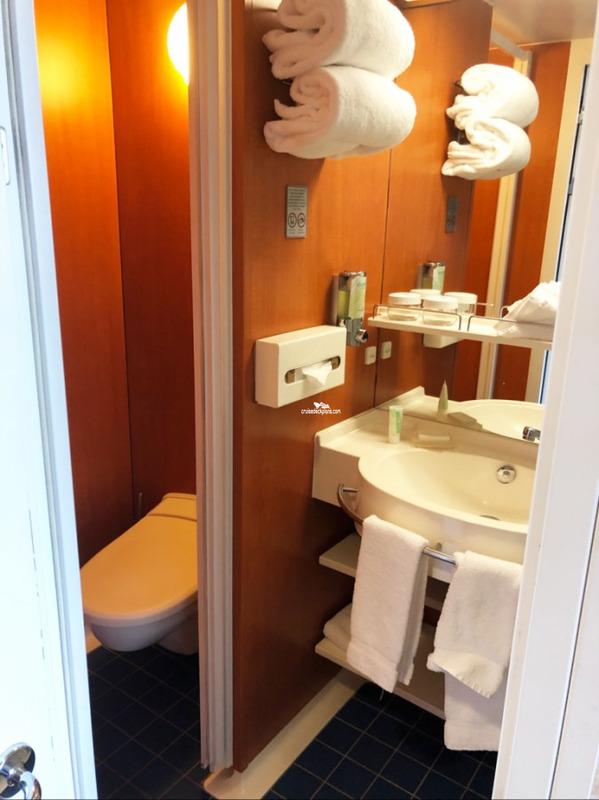 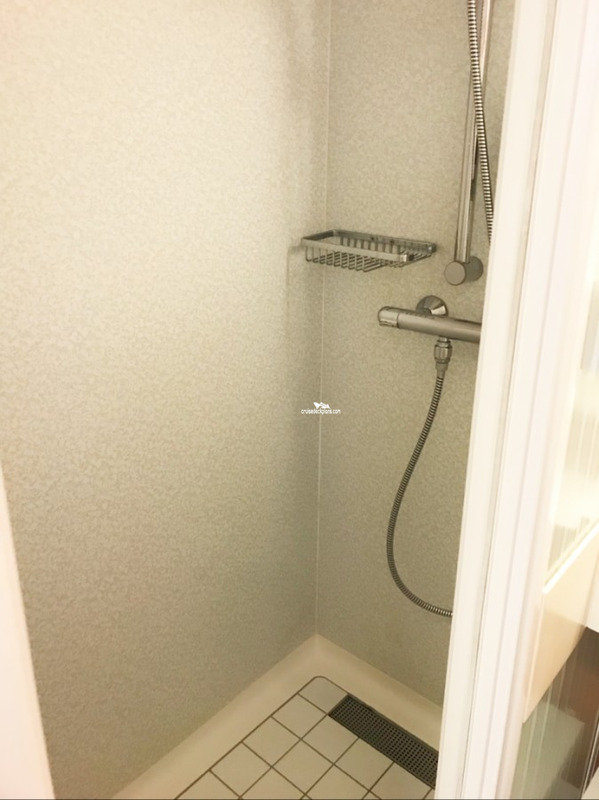 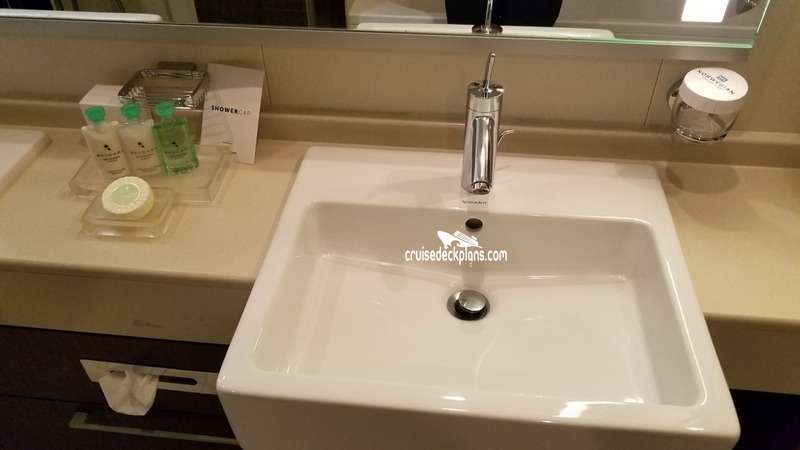 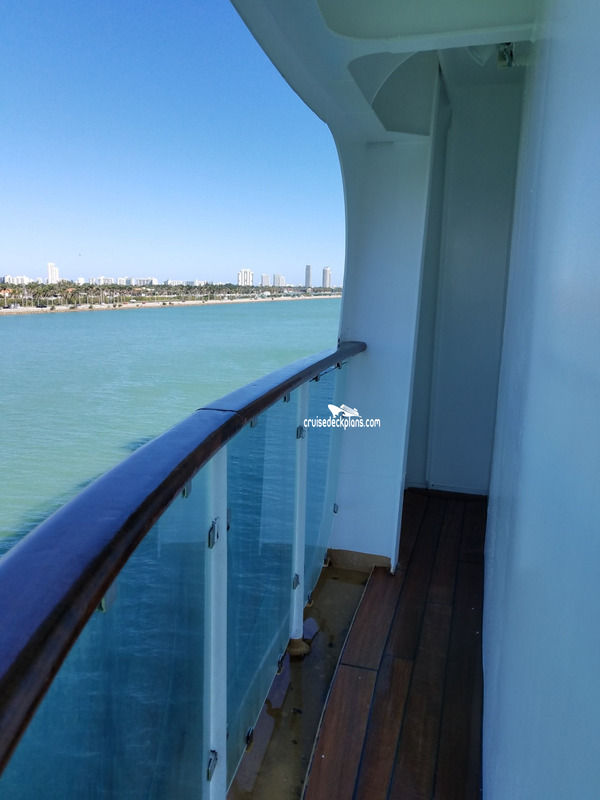 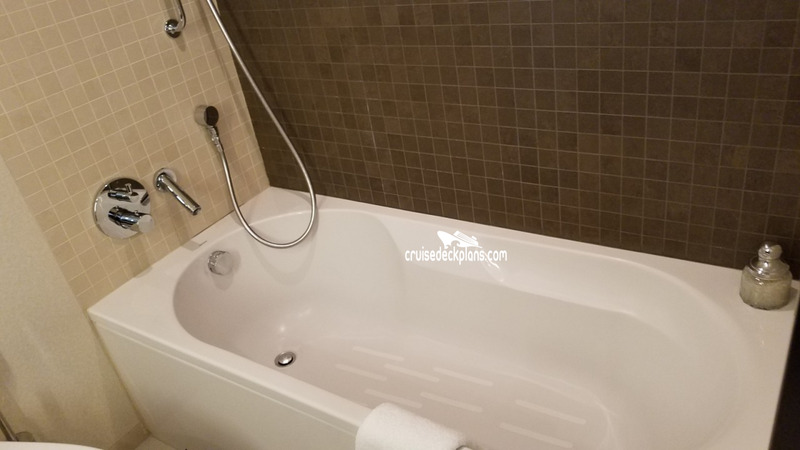 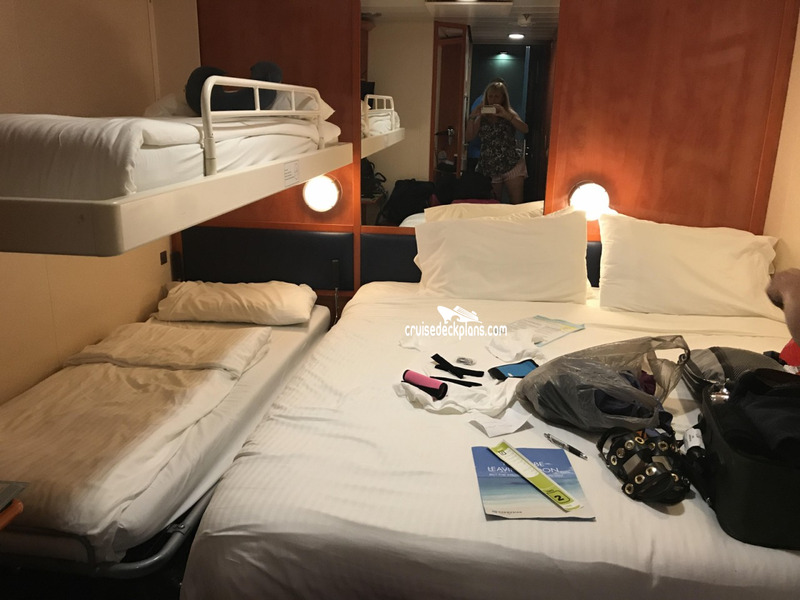 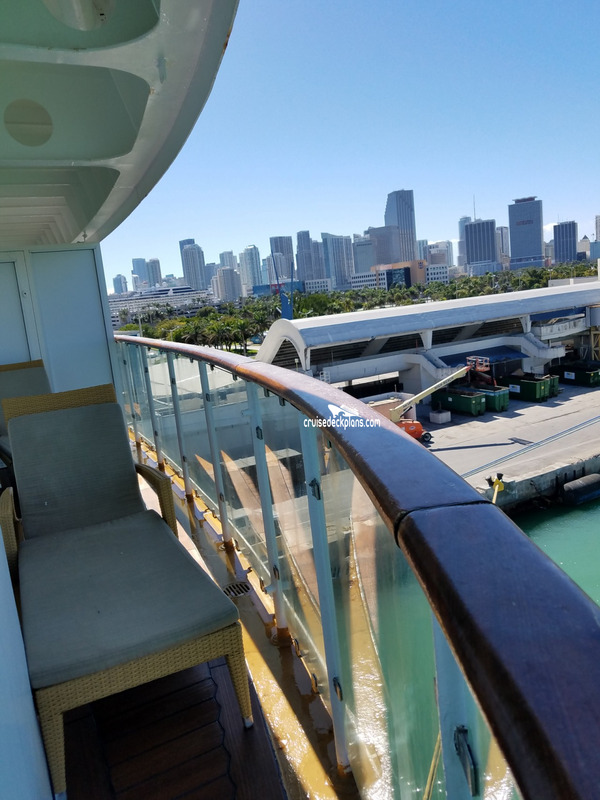 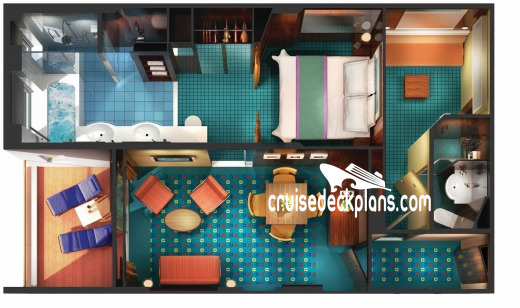 Cabin 12530 and 12030 are 495 square feet (no balcony), cabin 12532 and 12032 are 452 square feet (no balcony) and all others are 409 square feet (no balcony). 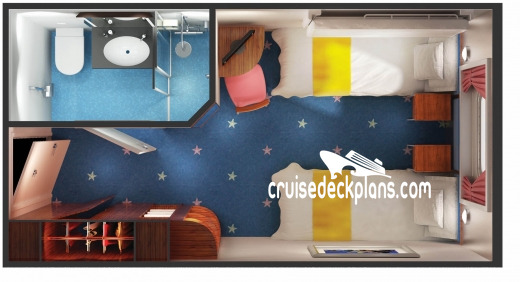 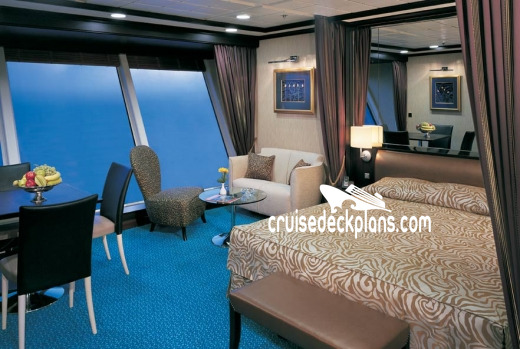 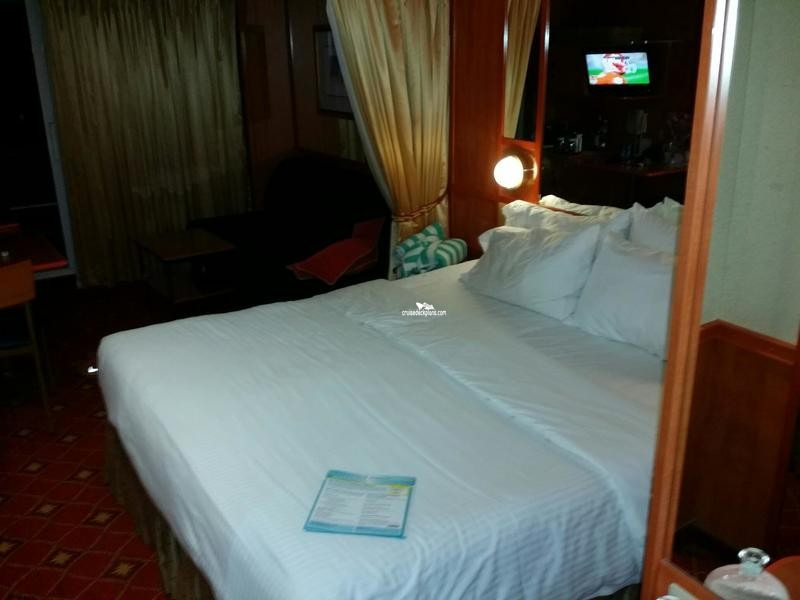 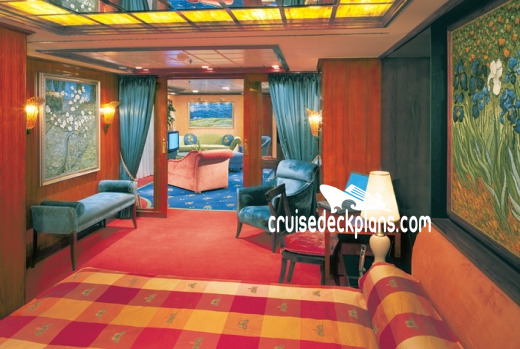 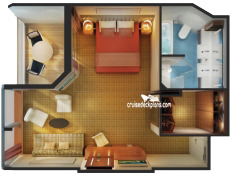 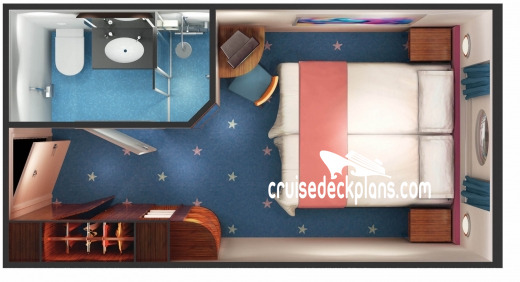 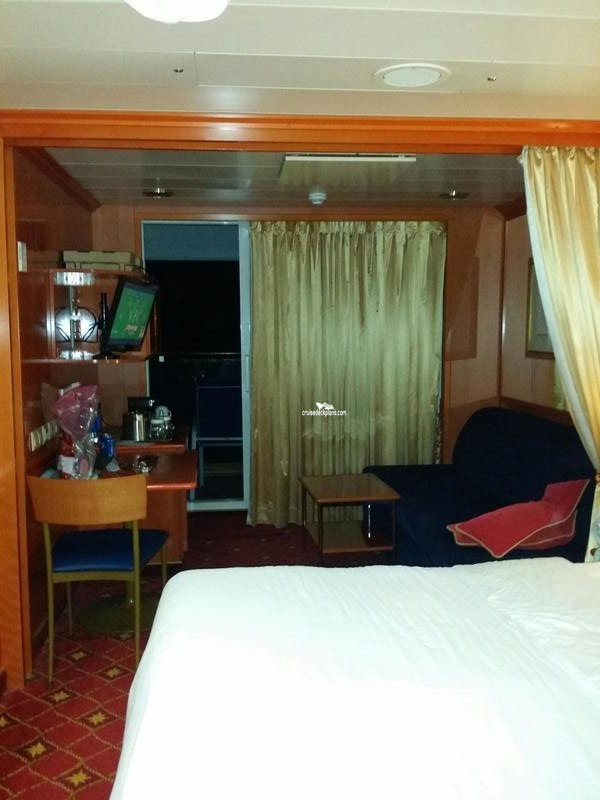 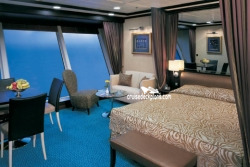 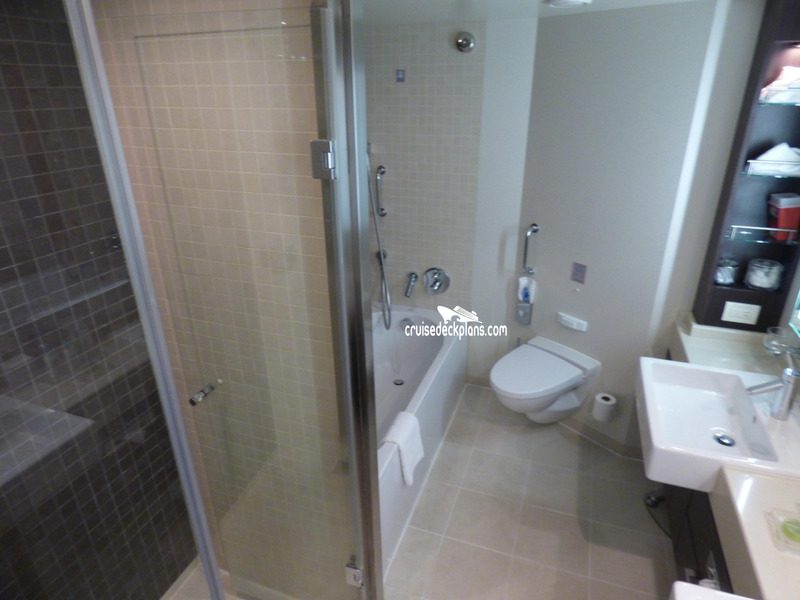 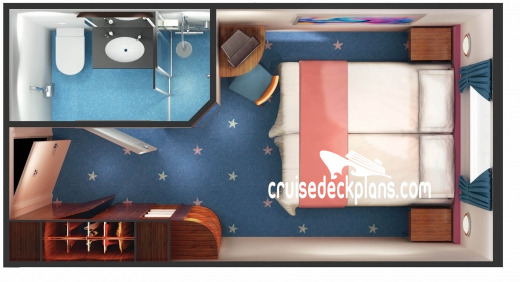 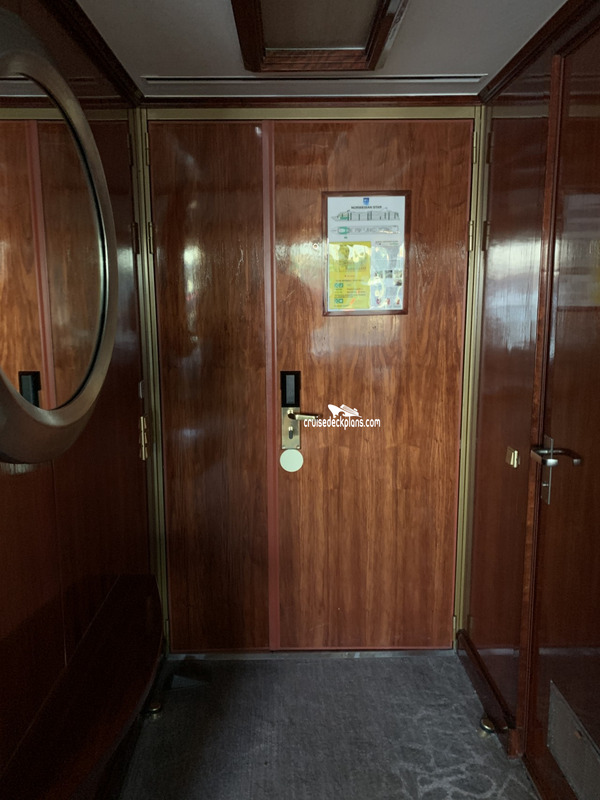 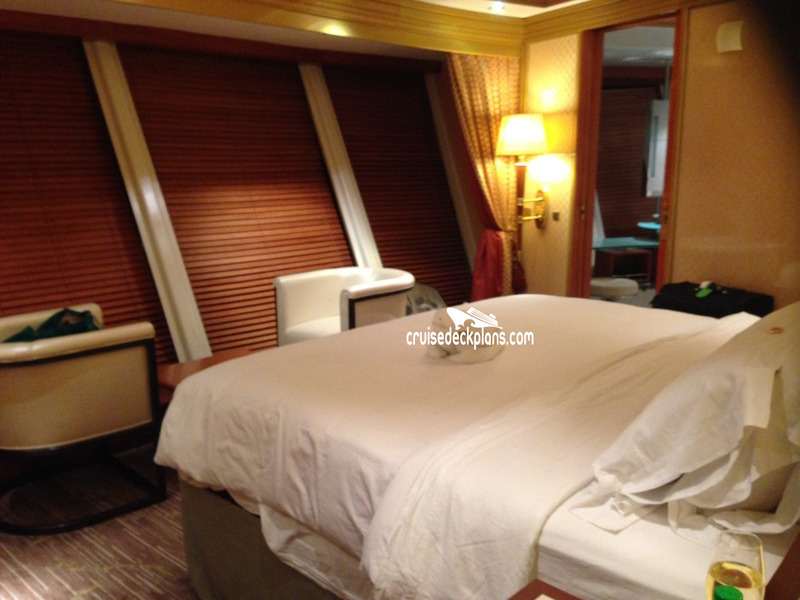 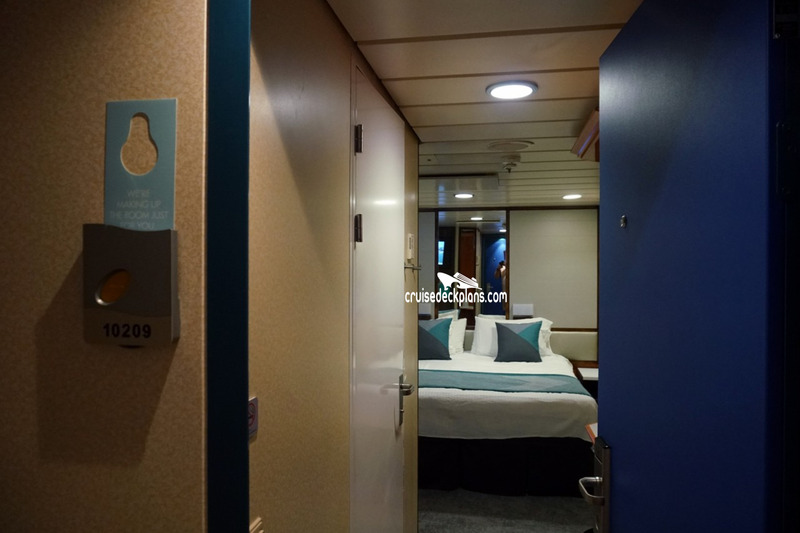 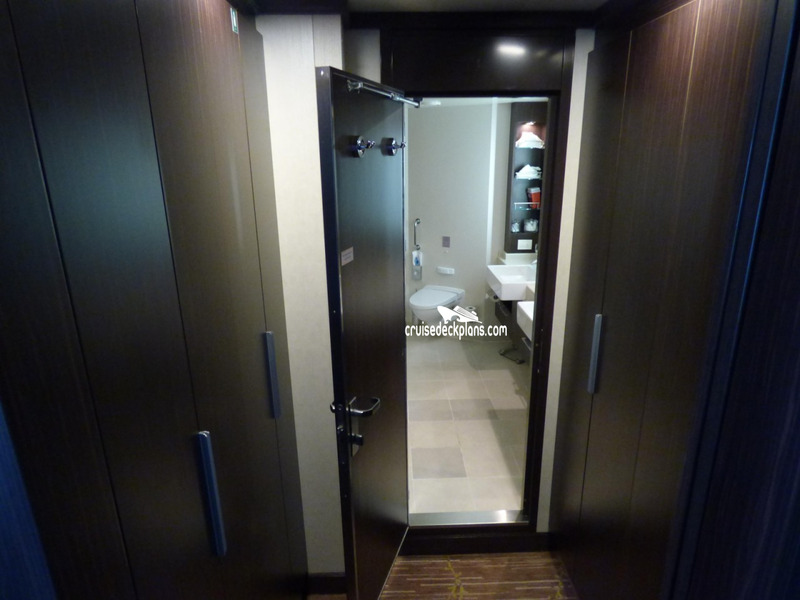 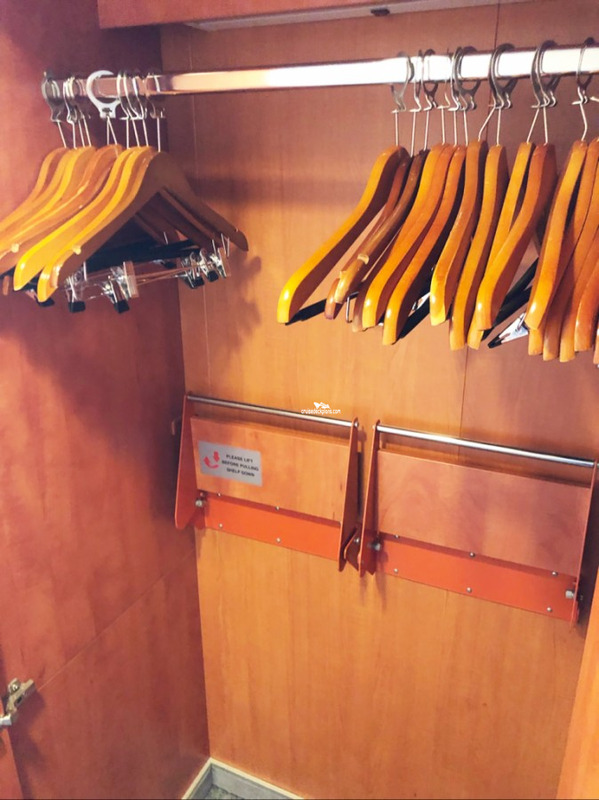 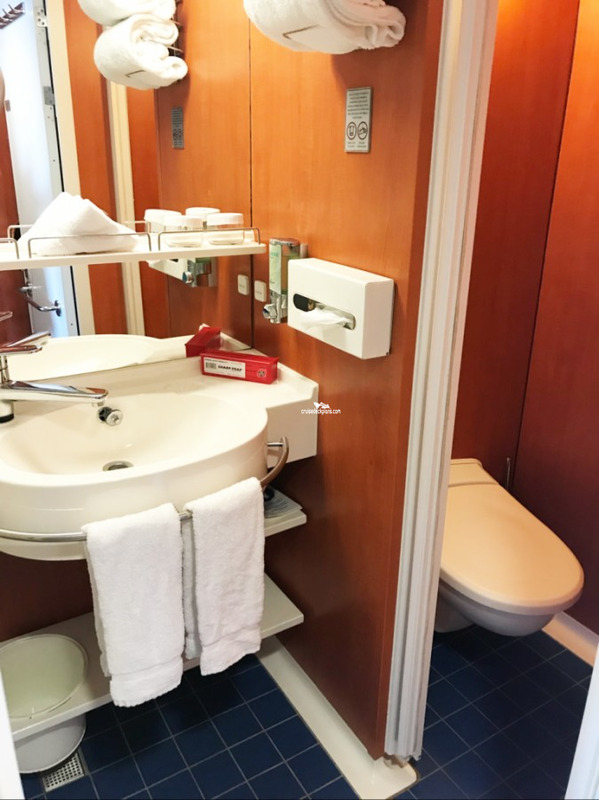 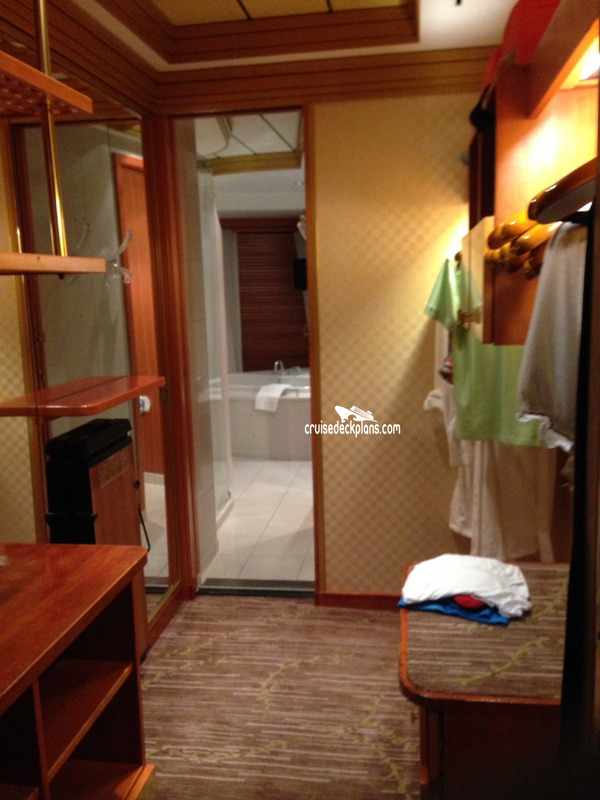 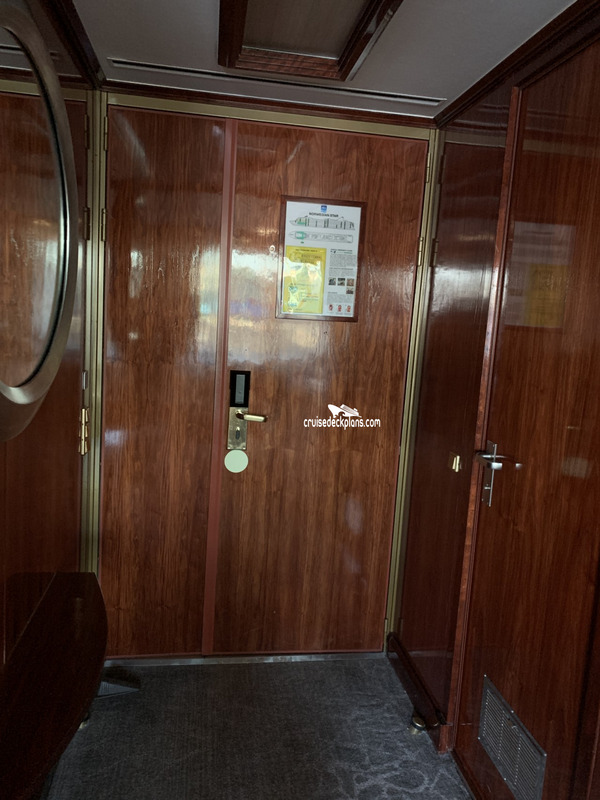 - Note: Category MB aft mini suites on deck 11 have partitions that go up at a angle and offer very little privacy. Balcony size ranges from 37 to 54 square feet.